Added on December 9, 2014 by C. Maoxian. 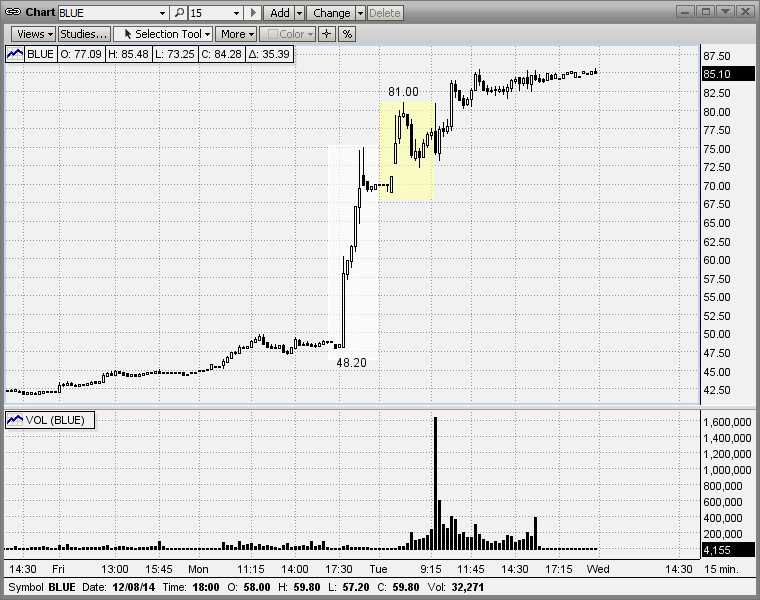 BLUE is a biotech stock ... not sure what the news was but it must have been good. :-) If there were an "axe" on Twitter I could ask in real-time after-hours about these things, it would be nice.